Today I’m going to talk about the new lipmask from Starskin: Dreamkiss Plumping & Hydrating. 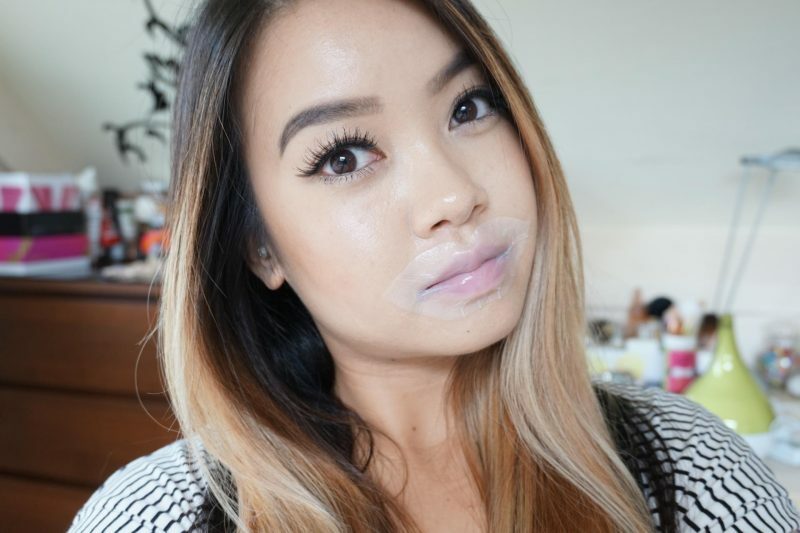 Lipmasks are a big thing in the Asian Beauty industry. All the Korean Beauty brands released their own version of the lipmask. I tried out a few of them, but you can never get enough of masks! So when Starskin sended me these masks I was thrilled to try them out. Let’s begin! Starskin became one of my favorite brands in a short amount of time. They create amazing bio-cellulose sheets masks for the face, feet and even for your hands! The amazing thing about their products is that it really works for my skin and you see instant results. If you are not well-known with their products, please check them out! You are seriously missing something. 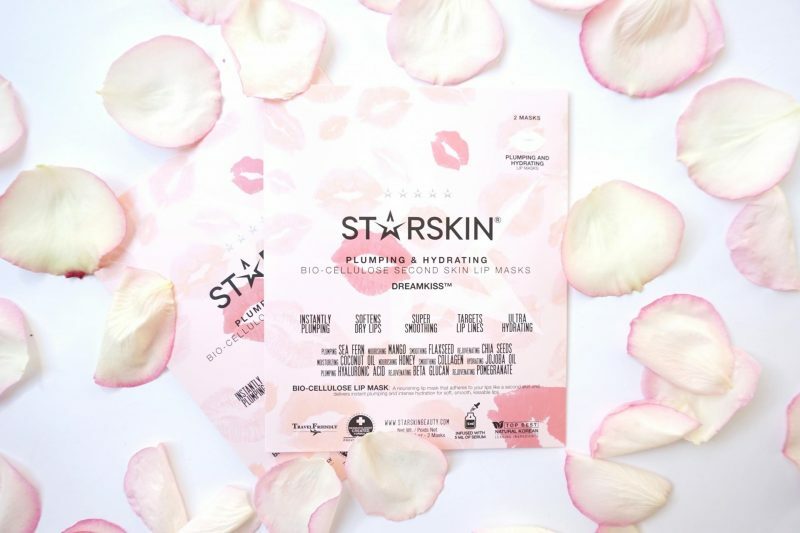 Starskin created these lipmasks to make your lips more plump, to get rid of dry lips, smoothing them out, targeting lip lines and to make them ultra hydrating. The lipmasks I tried out before where usually only for hydrating the lips. Each packaging contains 2 lipmasks. The lipmasks are stored in a smaller packaging, easy to take it with you when you are traveling. At the front of the packaging you will find the most important ingredients of the lipmask. You can already notice that it contains a lot of natural products, that’s why I love Starskin. The moment you try one of their products you won’t notice any rare chemical smell or weird skin reaction. The sheetmasks of Starskin are made out of bio-cellulose instead of the normal cotton sheet masks. This material will soak the serum better into sheet mask so you won’t spill anything from the infused serum! It feels like a second skin, no claustrophobic feeling like with the cotton sheet masks. Let’s move on. 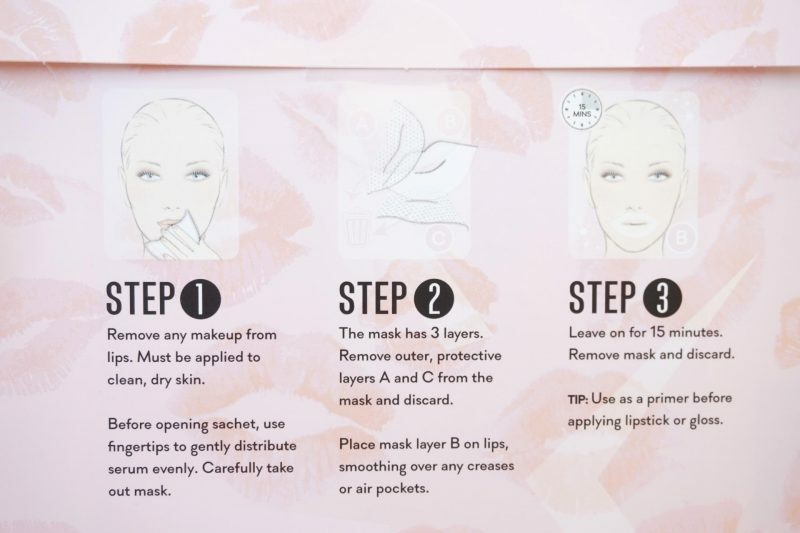 Here are the 3 steps to use your lipmask at a correct way. Remove any makeup from lips. Must be applied to clean, dry skin. Before opening sachet, use fingertips to gently distribute serum evenly. Carefully take out mask. The mask has 3 layers (this is something a lot of people don’t know: Starskin protects their masks with 2 layers, one at the back and one at the front. I used one of their face mask with still 1 protection layer attached, biggest failure ever!). Remove outer, protective layers A and C from the Mask and discard. Place mask B on lips, smoothing over any creases or air pockets. Leave on for 15 minutes. Remove mask and discard. TIP: use as a primer before applying lipstick or gloss. Okay, now the fun part! The moment I opened the sachet with the lipmask in it, an amazing scent escaped from the sachet. It smells like flowers and candy, just a sweet scent. You are probably thinking, sweet like candy? Does it also taste like candy? Well, in the name of the beauty industry world I also tasted the lipmask! To be honest, when you apply the lipmask, after a while you will get a bit of the serum into your mouth. Not a real big problem, because the taste is pretty good! I think Starskin did everything to let you enjoy this lipmask. The lipmask itself has a perfect shape, it will fit everyone! In the middle of the mask you will find a gap, so you can still open your mouth to talk or eat while you wait for the lipmask to do its work. It feels great on the lips, like a real spa moment. Applying the mask went also very easy. If you do think your mask is placed wrong, you can easily take it off and apply in back on the lips again. After 15-20 minutes I removed the lipmask by pulling it of. The first thing I noticed was that my lips felt super hydrated! Like I slept with a sleeping mask on my lips the whole night and woke up 9 hours later with soft lips. But this was just done within 15 minutes. Second, I have very visible lines on my lower lip which were less visible now. They were more plumped now my lips which created the less visible lines and also a more pink color on my lips like they were reborn (yes, reborn). I can’t say that my lips look more voluminous, but my lower lip does look more plumped. I didn’t pay attention to how long this effect stayed, but I was already happy that my fine lines were gone! While I’m writing the last part of this review, I’m actually wearing this lipmask before going to bed! I love this lipmask because it doesn’t taste weird when you accidentally get the serum in your mouth. It is very easy to use and it will fit everyone’s mouth, no struggles with applying it on your lips at all. 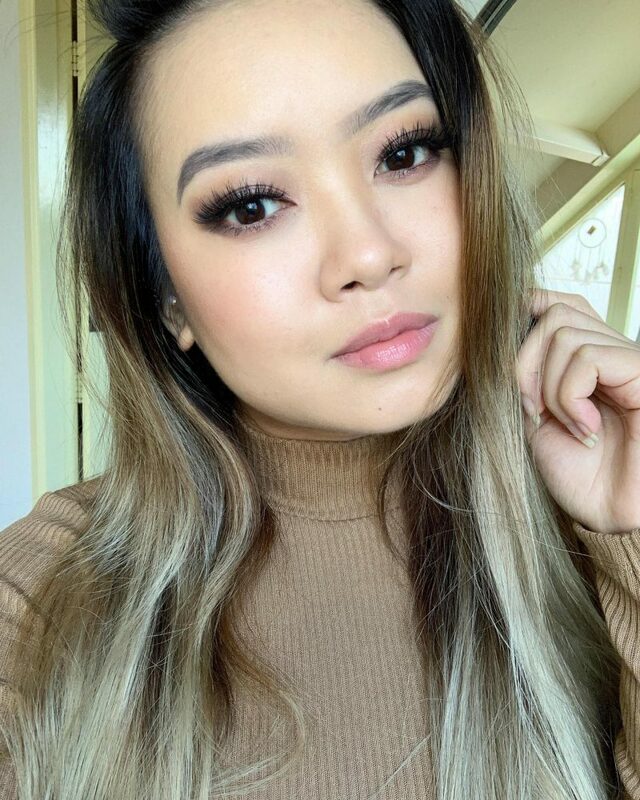 The plumping effect is clearly visible but not sure for how long this will stay, but the plumping effect will make your lip lines disappear. I’m overall really thrilled about this lipmask and I will continue using this. I can recommend this lipmask to everyone who struggle with dry chapped lips or who has a special event coming and needs that little plump effect on their lips. It will give your lips an instant plumping and hydrating effect like they promised and it works within 15 minutes! You can use this just for hydrating your lips after a bad period or as a primer when you apply a lipstick afterwards. I can’t come up with a reason why you shouldn’t get this lipmask. You can get your own Starskin Dreamkiss at BeautyBay.com for €9,60, or for my Dutchies at Douglas.nl for €9,95. Great post. I’m obsessed with masks but embarrassingly I am yet to try a lip one! These look great and your lips look really healthy and hydrated after the mask. Wat grappig hihi! Ik weet alleen niet of ik het geld er voor over zou hebben!